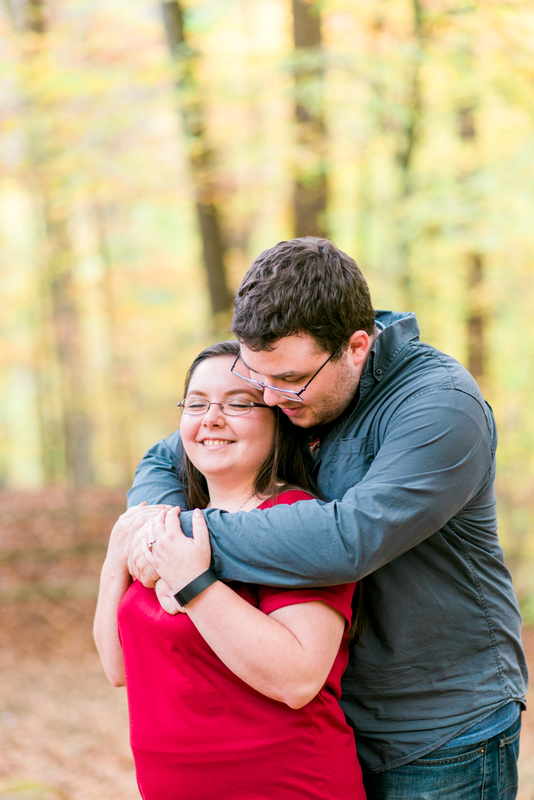 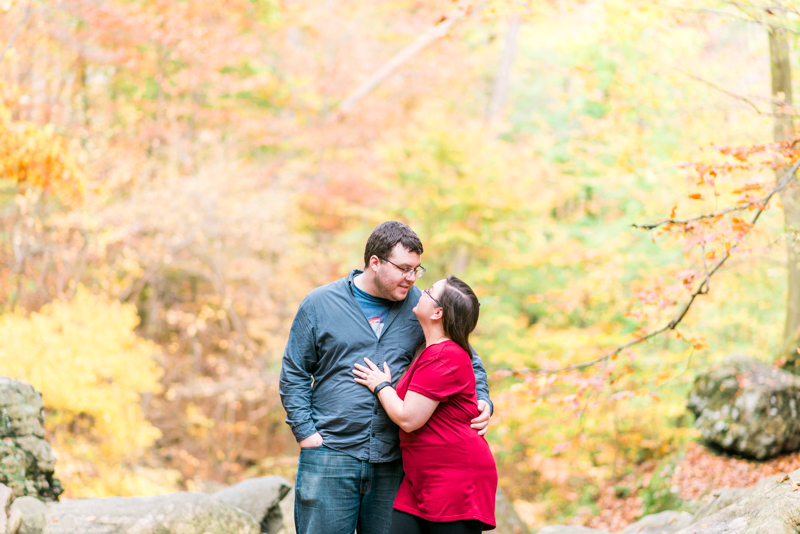 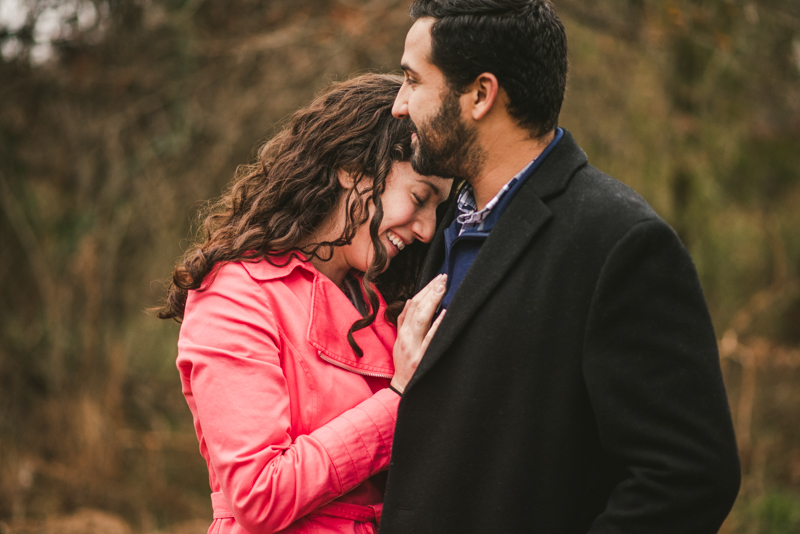 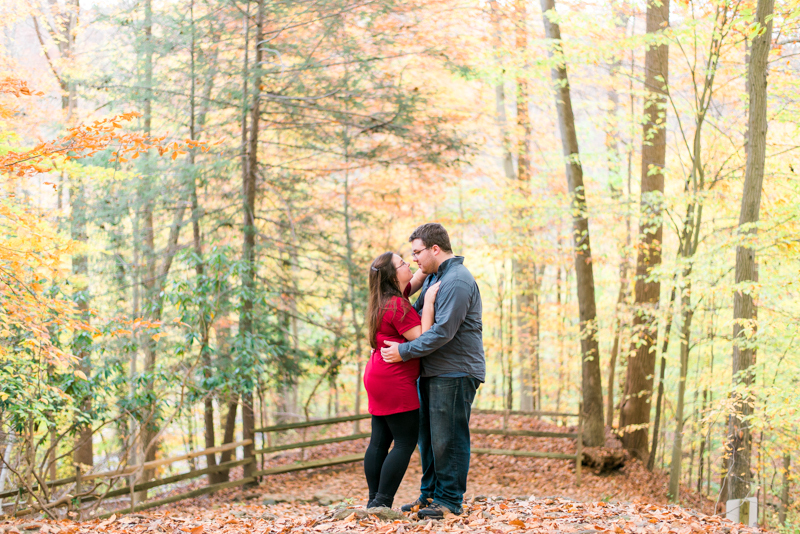 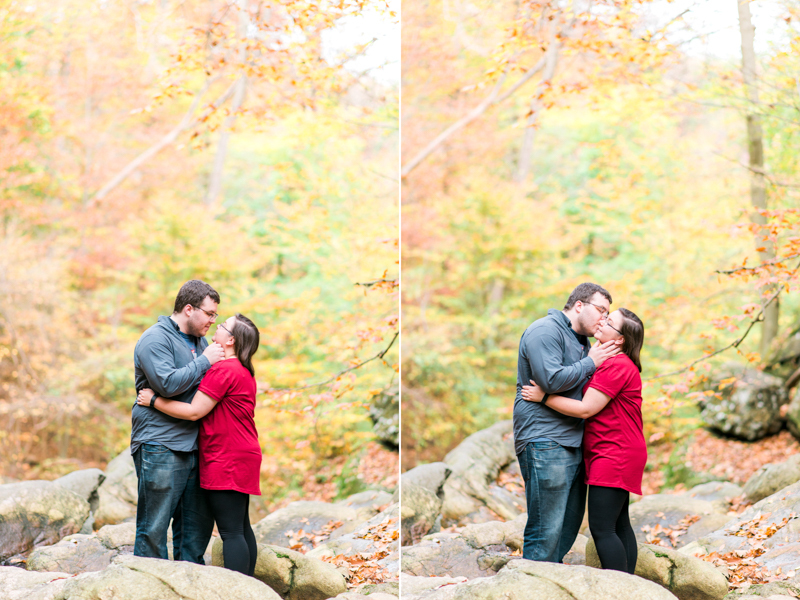 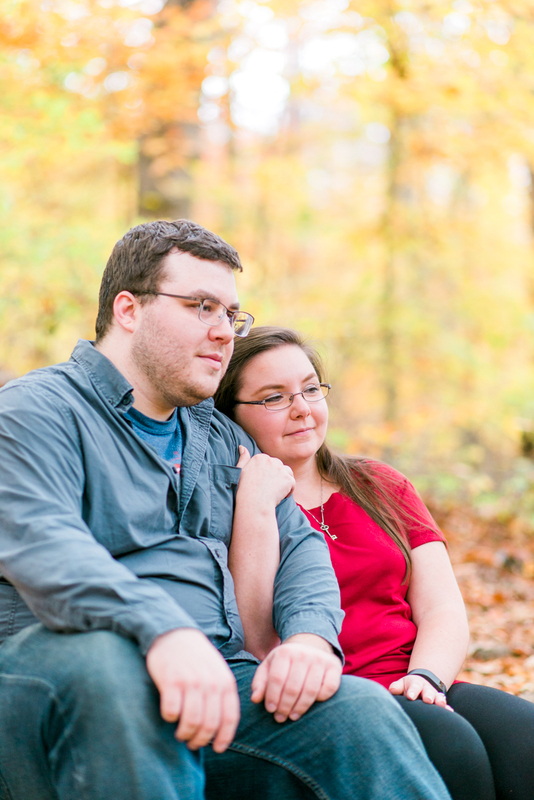 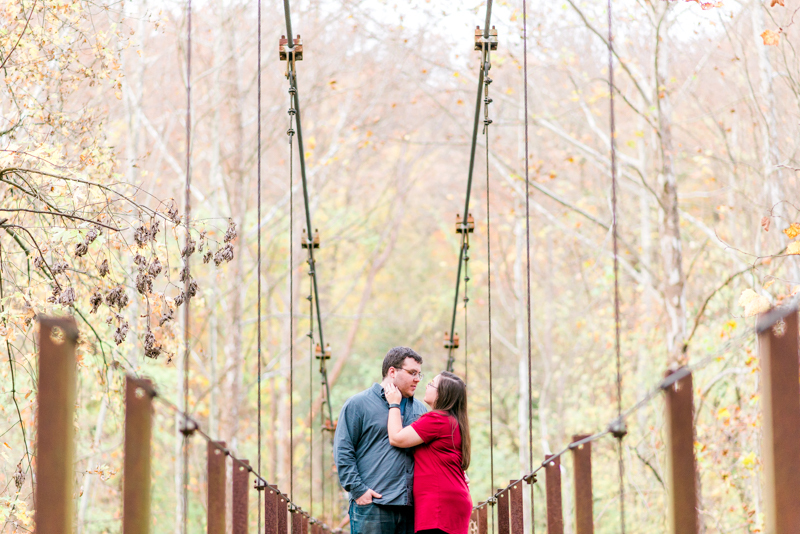 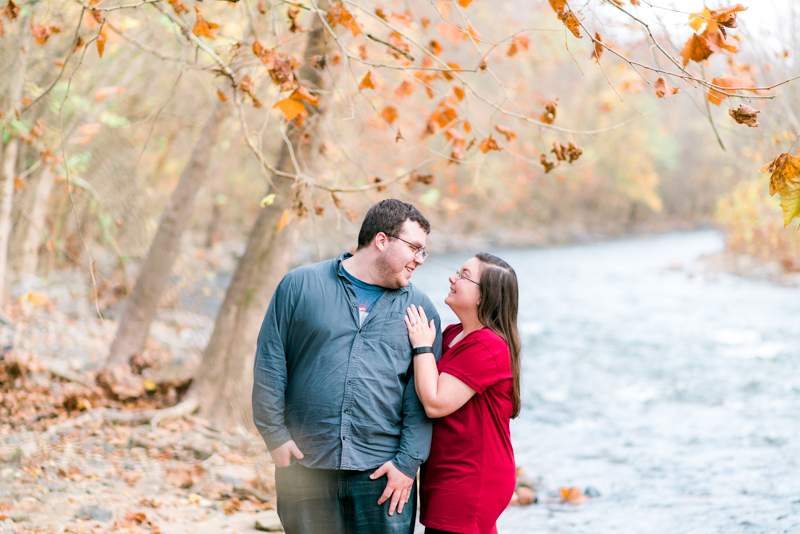 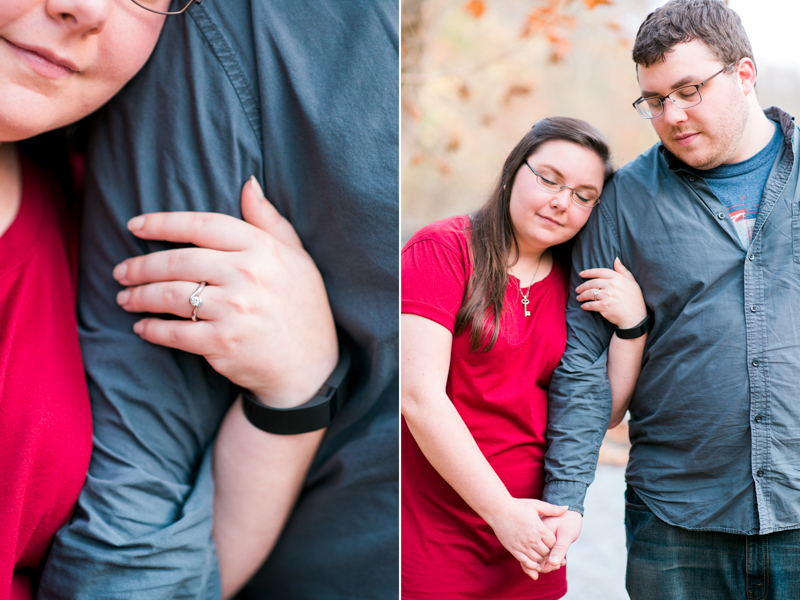 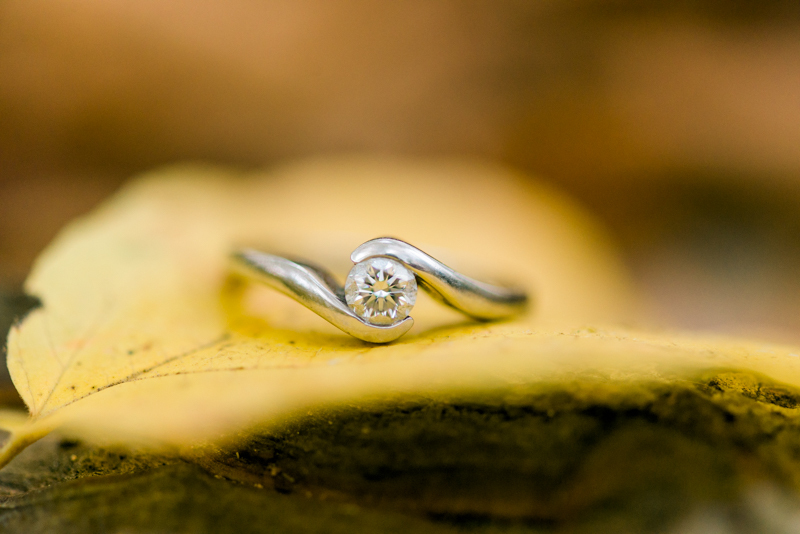 I'm not sure if it was the bright leaves or the crisp fall air, but Samantha and Doug's engagement session at Patapsco Valley was fantastic! 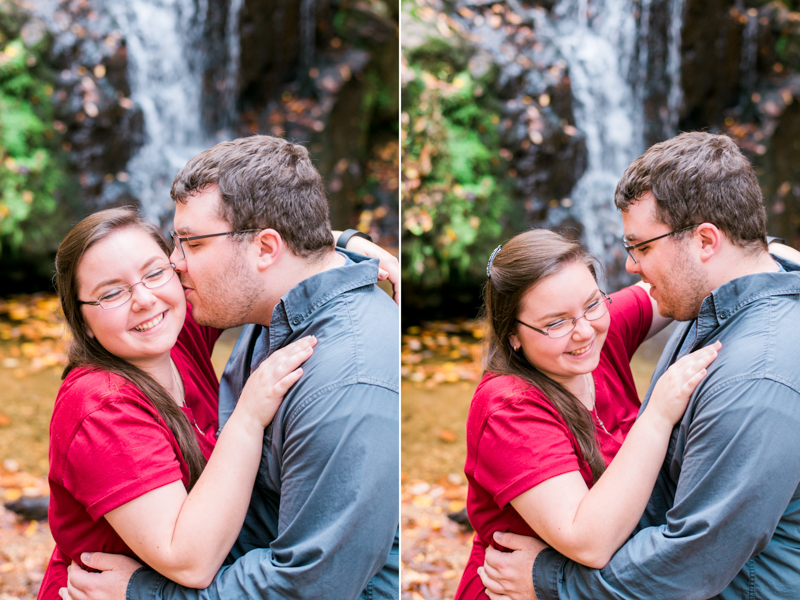 These two are such an adorable pair. 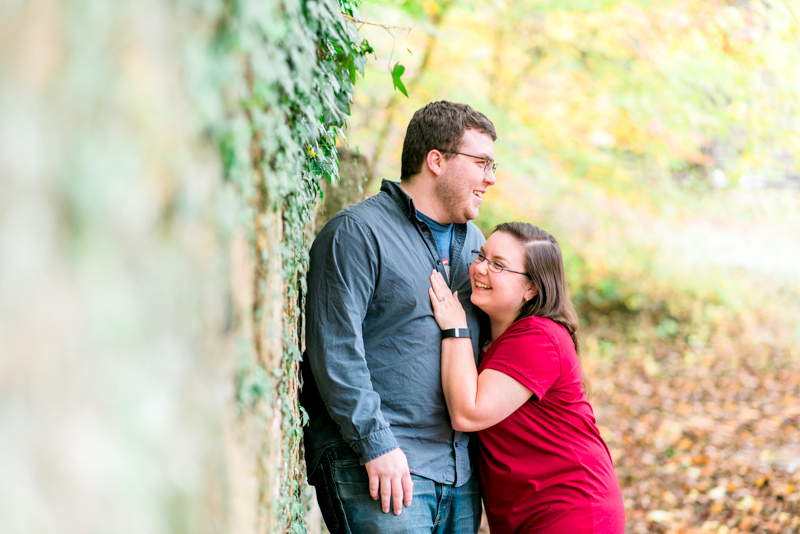 Samantha and Doug were constantly laughing and having fun with each other. 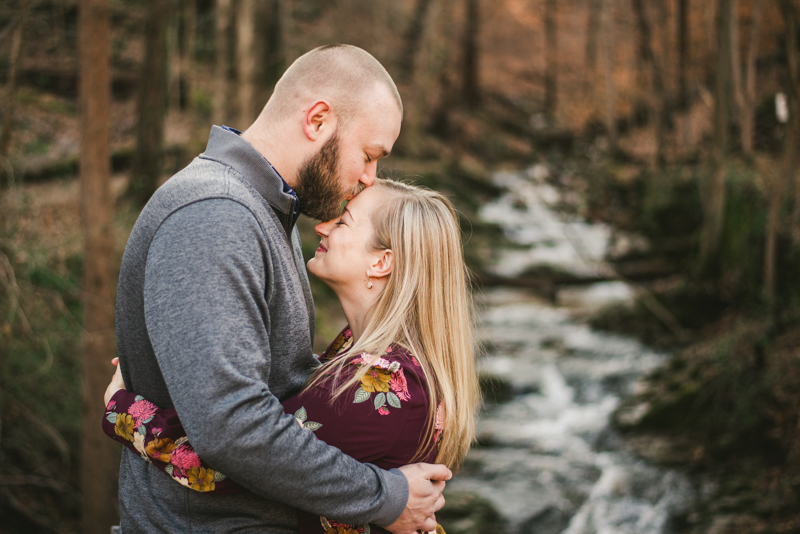 It was so cute to see them interactj every time I would tell them to look at one another their faces would light up with huge smiles. 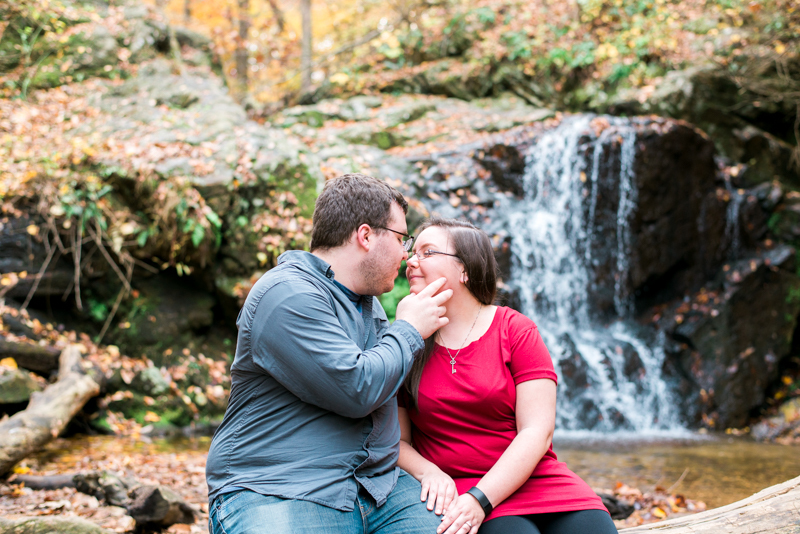 Shawn and I could easily see that they just enjoy being around one another. 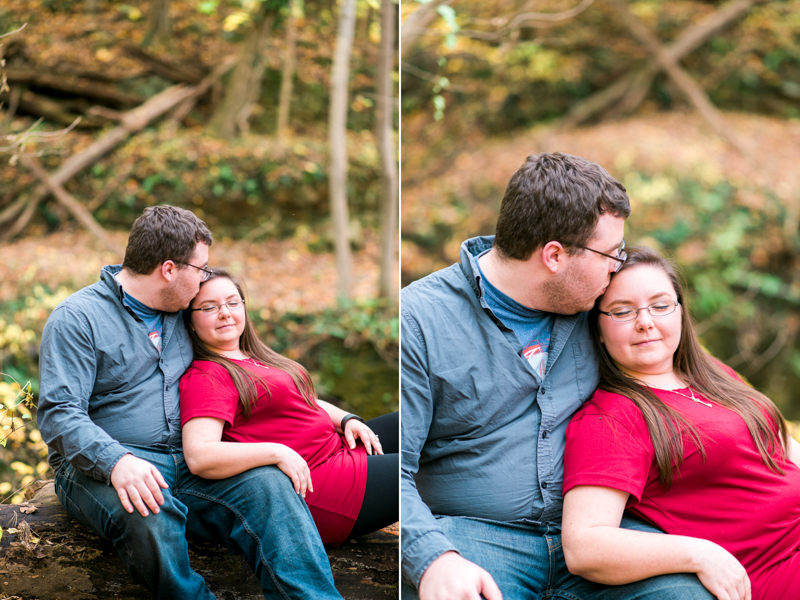 One of the many great things about this session was that it was at my favorite park. 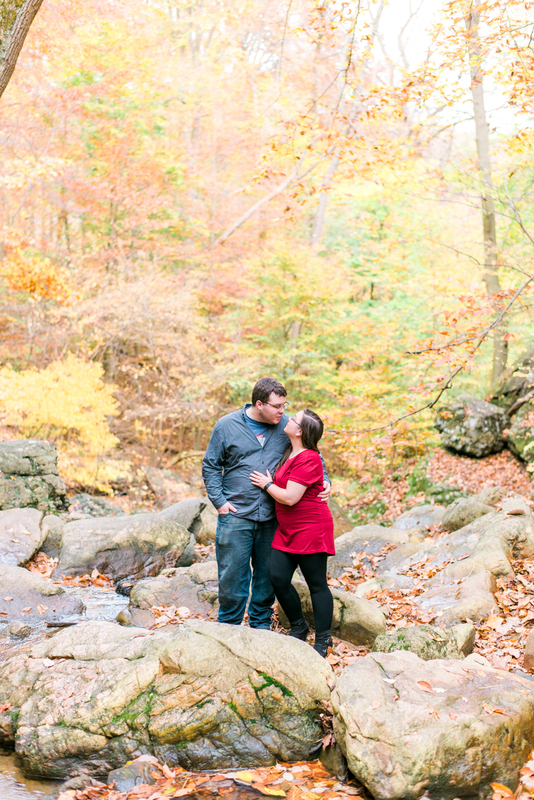 I know I've talked a lot about Patapsco in the past, so I won't waste too much time, but the amount of stuff that this location has is unmatched by anywhere else. 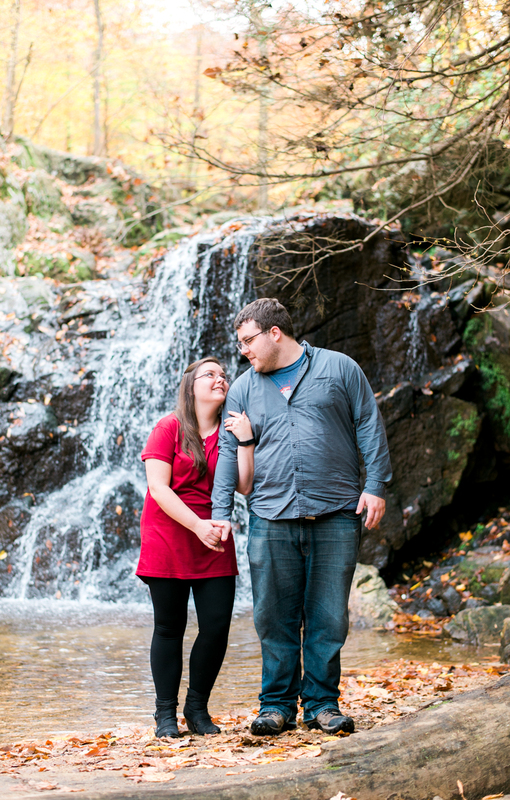 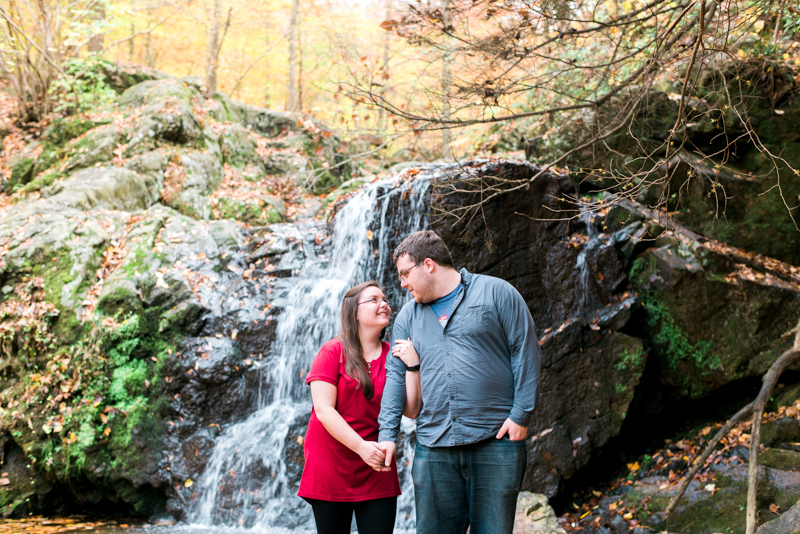 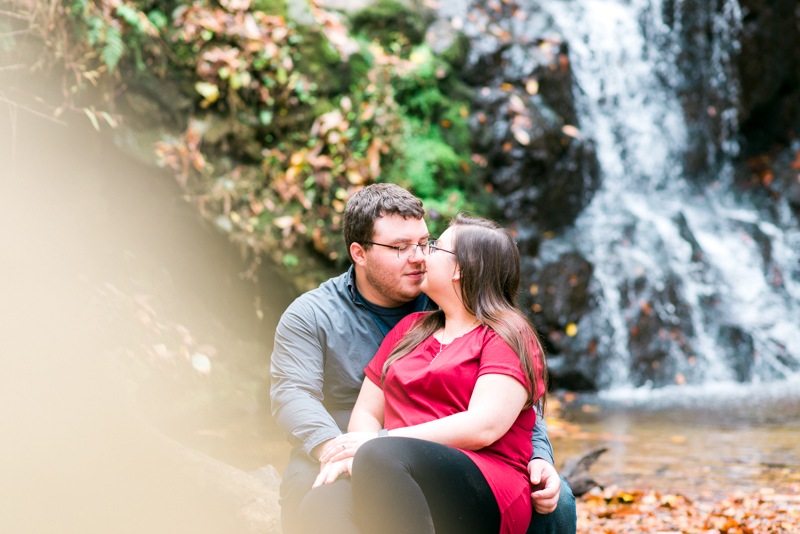 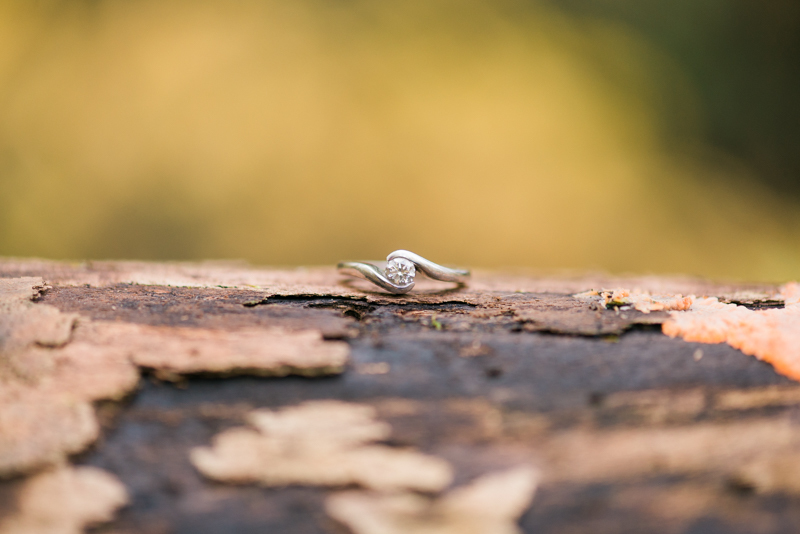 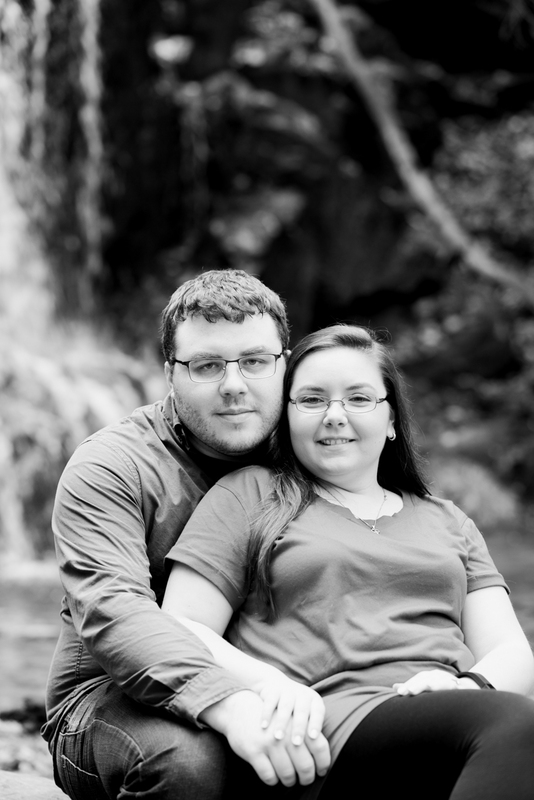 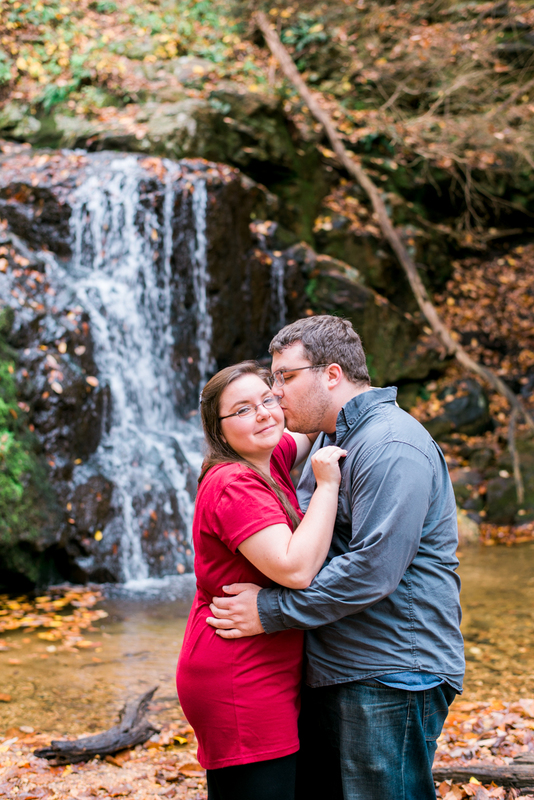 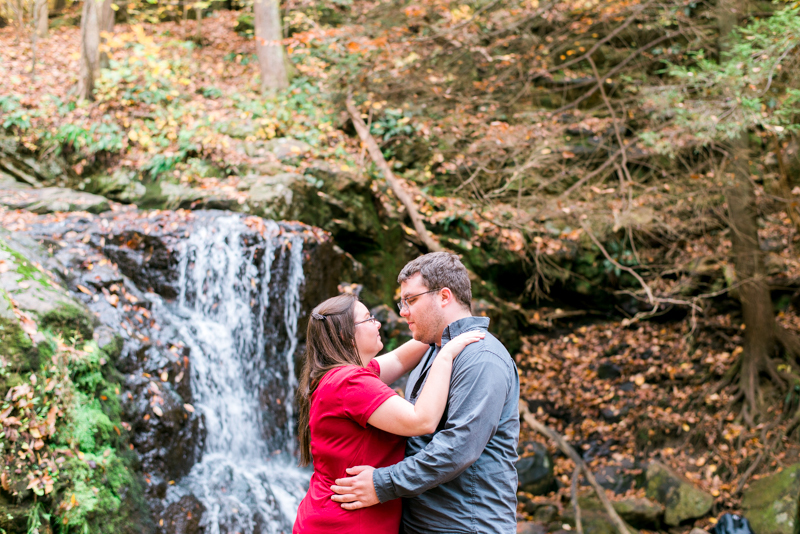 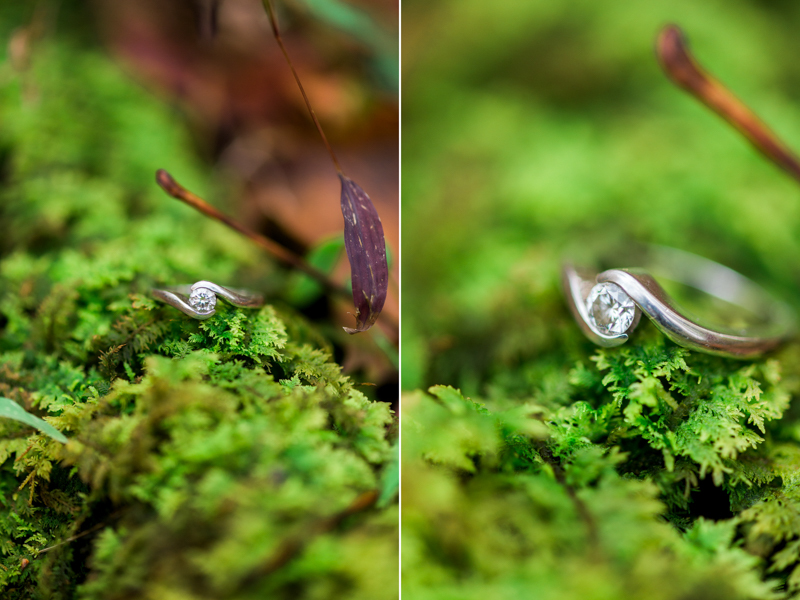 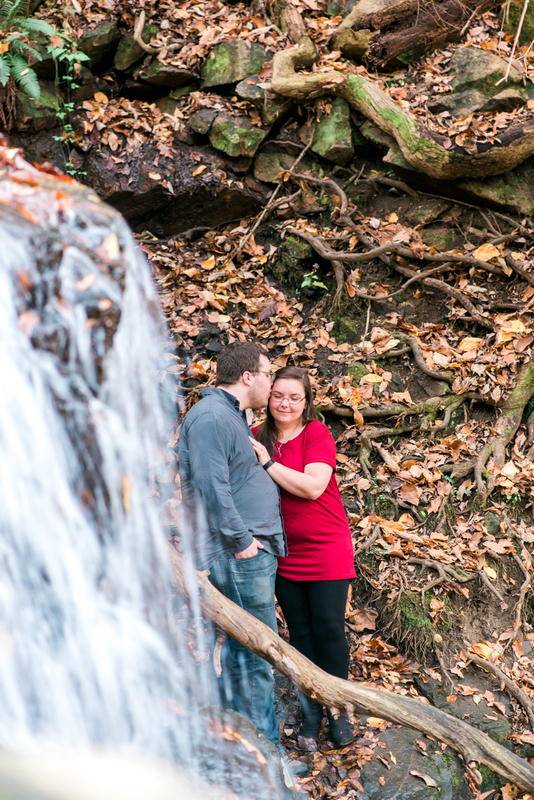 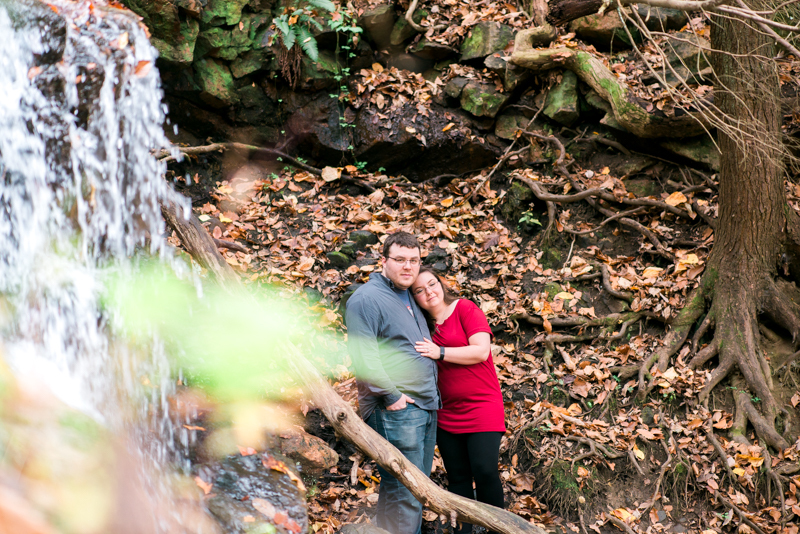 For Samantha and Doug's engagement we got to check out a new spot, the Cascade Falls, and it was insanely beautiful! 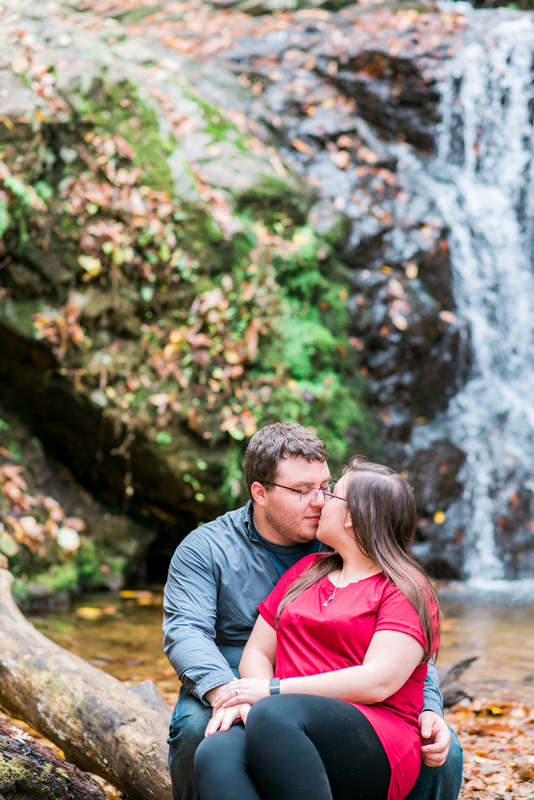 We definitely had a lot of adventures on this session, especially around the falls. 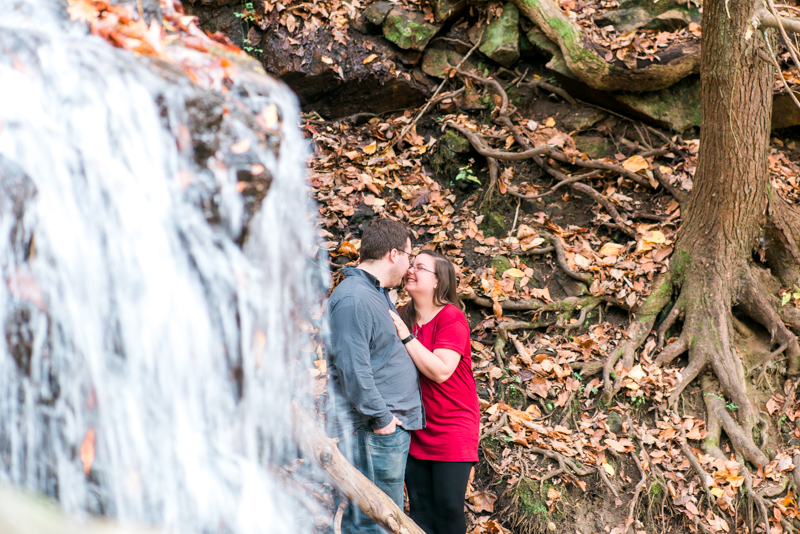 Given that it was a new spot, I wanted to cover every nook and cranny around this area, so we attempted to safely climb a little bit up the side of the waterfall. 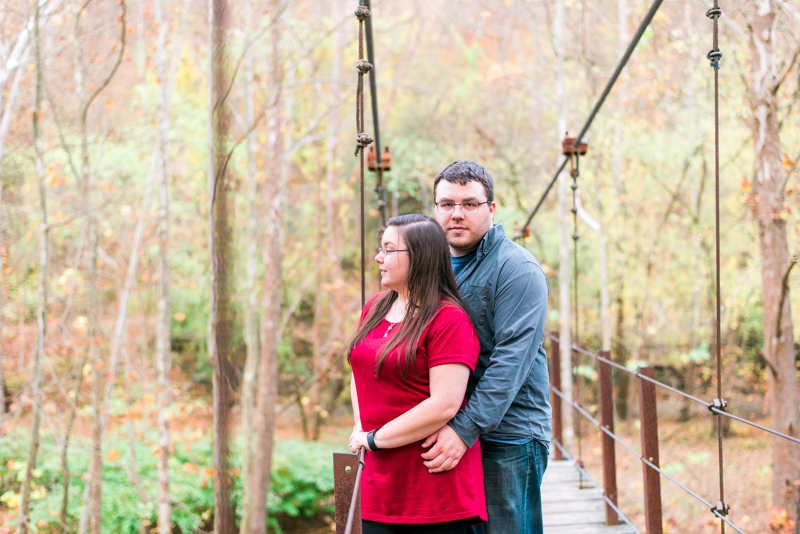 I say attempt because Samantha and Doug had no problem getting into their spots, but I stumbled and almost rolled off the edge - typical Britney, haha! 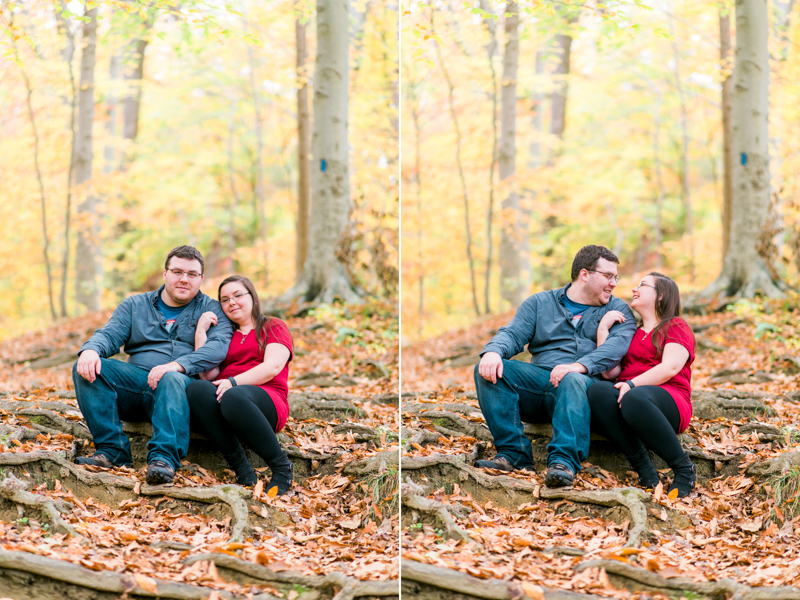 It's a much funnier story since I didn't fall and break anything :P.
I cannot wait to photograph these two sweethearts next October at Caboose Farm!